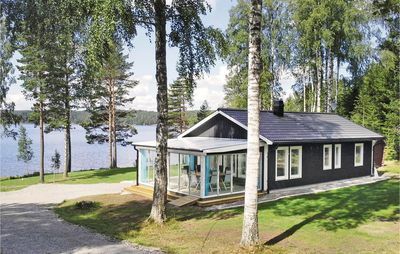 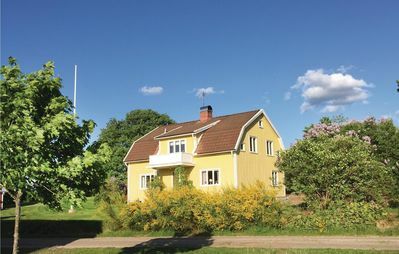 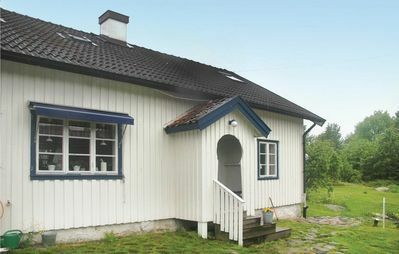 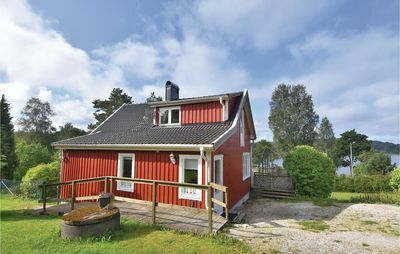 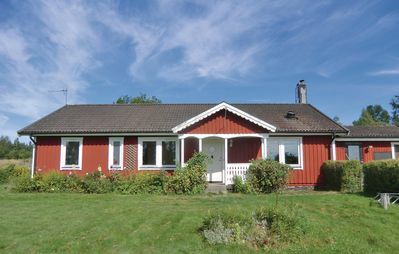 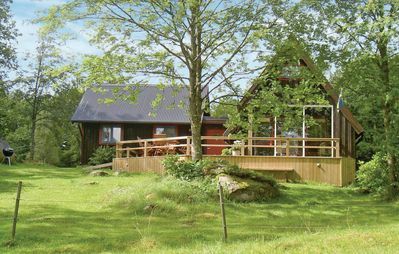 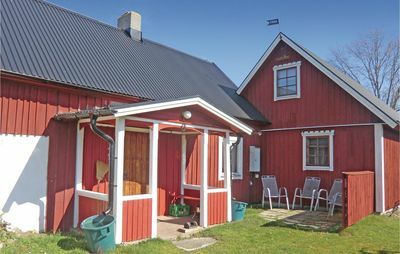 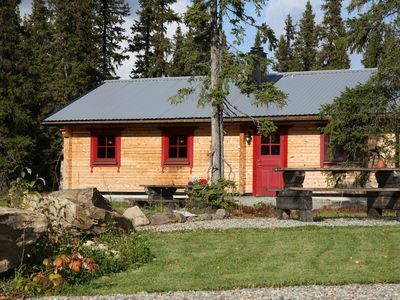 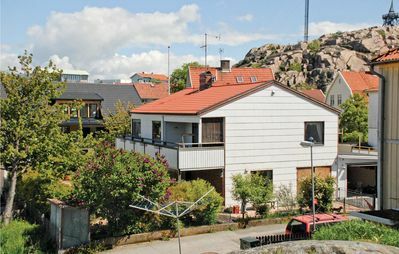 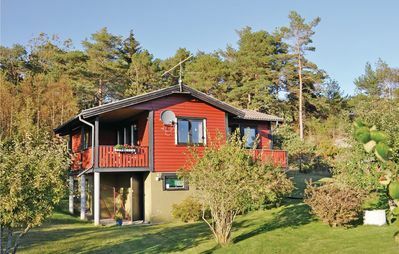 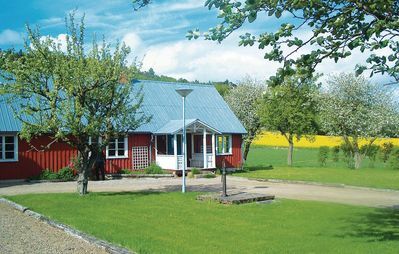 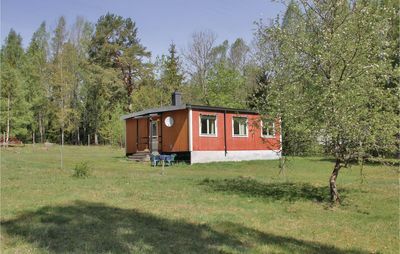 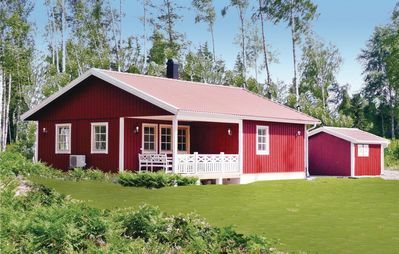 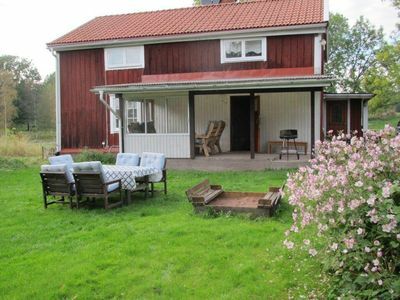 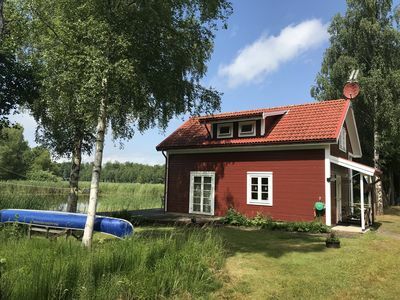 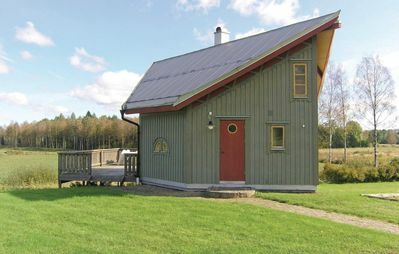 This beautiful holiday house with interesting architecture is situated in a beautiful, secluded location, not far from Löttorp. 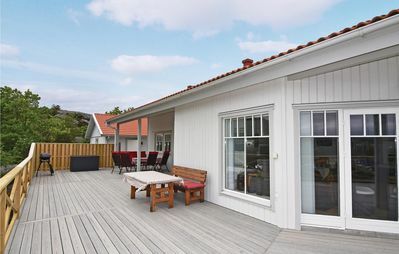 Relax in the comfortable, child-friendly garden. 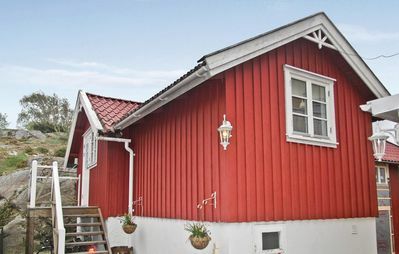 This house is a part of another house. 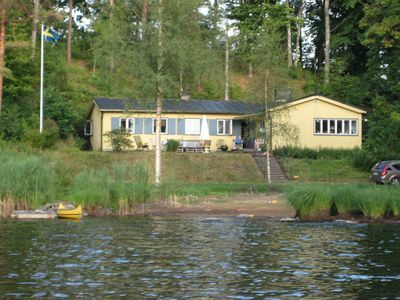 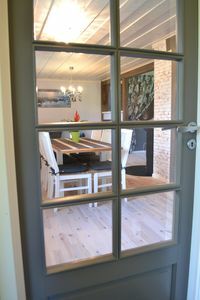 Spacious house with beautiful views of the lake Möckeln and private location. 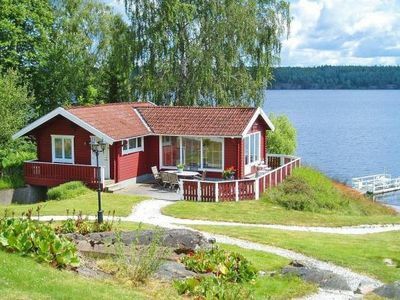 Beachfront property.